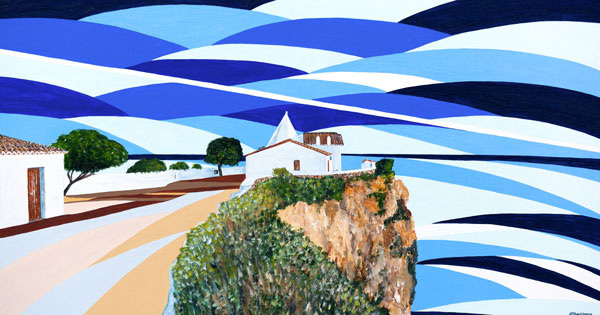 “The beautiful chapel of Nossa Senhora da Rocha - 'Our Lady of the Rock' is such a striking local landmark - and not surprisingly a favourite place for weddings here in the Algarve. The tumbling cliffs are sadly starting to fail and we don't know how much longer this pretty chapel will survive. Such a piece of local history, it never fails to inspire me."